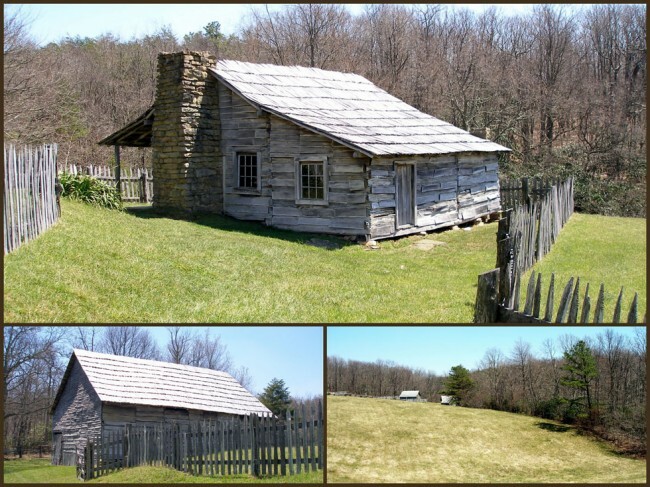 While on a getaway to Cumberland Gap National Historic Park, I had scheduled a backpacking trip to the Martin’s Fork Cabin. 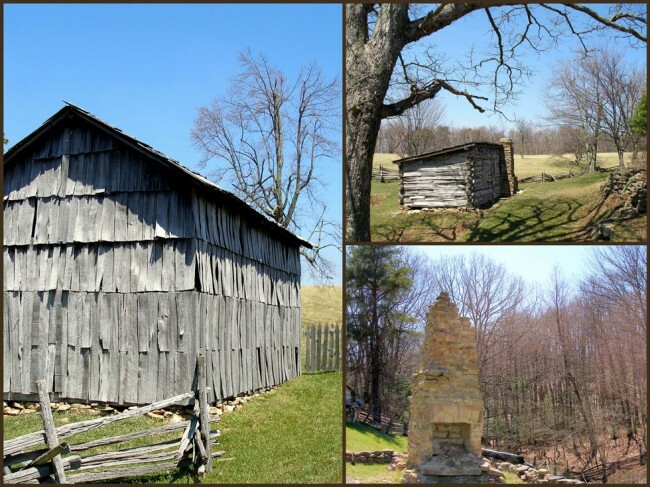 One of the highlights of this particular hike was the fact that I’d be traveling right through an historic area called the Hensley Settlement. This was one of the main factors in planning this particular hike. I’d been on the trail for several hours, slogging up a gravel road when I finally emerged from the dense forest into the settlement. Arrival here meant that I was only about a mile away from my final destination and that the hardest part of the hike was behind me. It was a breath of fresh air in many ways. The more exposed area made for windier conditions which cooled my very sweaty brow. 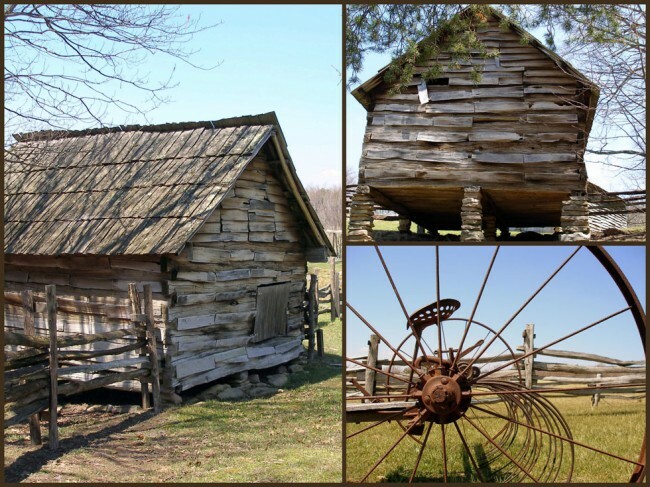 Located on top of Brush Mountain in Bell County, this site is a living history museum highlighting life in Appalachia. 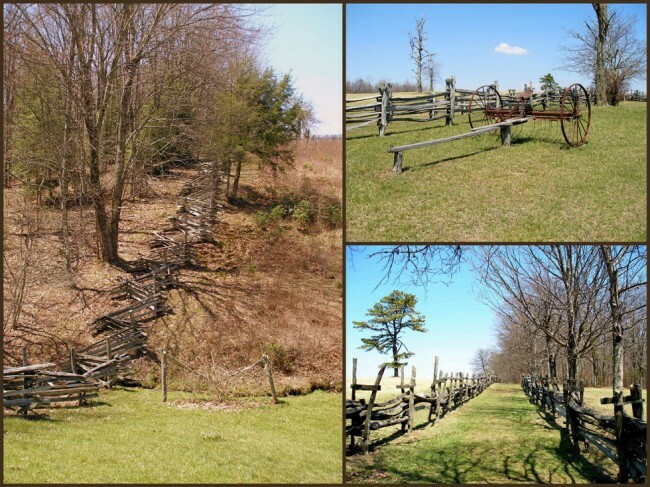 It’s located about 10 miles from the Visitor Center and is located on the Ridge Trail. 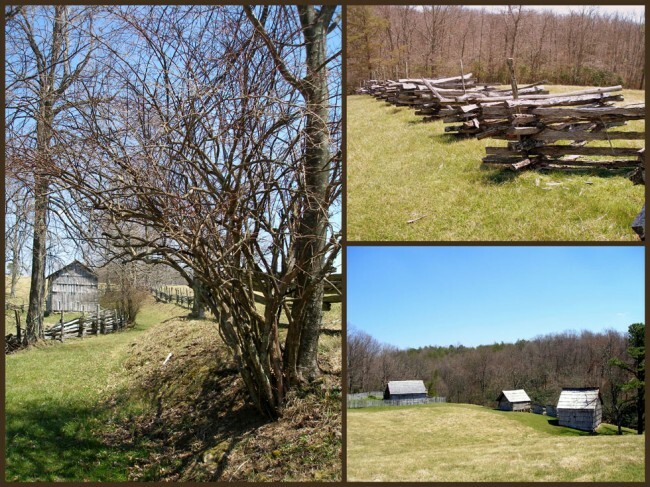 Once here you’ll see a dozen homestead log cabins, blacksmith shop, one-room schoolhouse and a spring house. In total there are 45 structures. The agricultural environment was restored to its original condition by the Job Corps in the 1960’s. The settlement began as a 500 acre land deed from Gov. William Owsley to brothers C. and R.M. Bales. They in turn leased it to John Nichols and Jim Nelson who used it primarily for the care of livestock. In 1903 Barton Hensley Sr. bought the land and divided it among his extended family. In 1908, after completion of the “lean to” style one-room schoolhouse Bell County sent a teacher to the settlement, teaching all grades up to the 8th. In total, four different structures would exist as the Brush Mountain School, the final classes were taught in 1947. In the last years of the settlement, the population grew to almost 100 by 1925. The population eventually moved away, leaving only Sherman Hensley on the mountain in 1949, the last full-time resident. He died in 1979 and is buried beside his wife, Nancy Ann and 36 others. Sherman finally left the mountain in 1951 to return only for his internment. The cemetery is still there, sitting on a hillside atop the mountain with a rustic fence keeping it safe. Though I was too late in the season to take the bus up the mountain and enjoy the interpretative programs offered by the National Park Service, I still very much enjoyed my visit to Hensley. There’s something eerie about walking alone through a once-thriving community, hearing only the sound of the wind. I did run into one lone hiker and we visited for a short while, but for the most part my experience was a solo one which I am very grateful for. 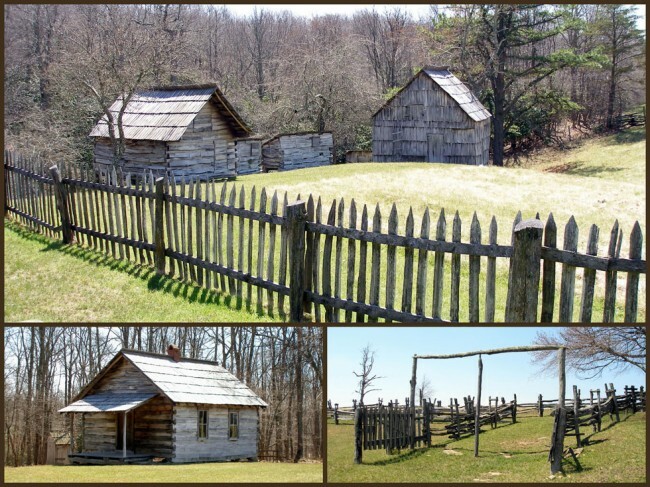 For more information on visiting the Hensley Settlement, you can follow this link: http://www.nps.gov/cuga/planyourvisit/guidedtours.htm.